Maytec Drill for Crossbushing DIA152517315 x 45dia12 F and E type slots (for Jig) | DamenCNC B.V. 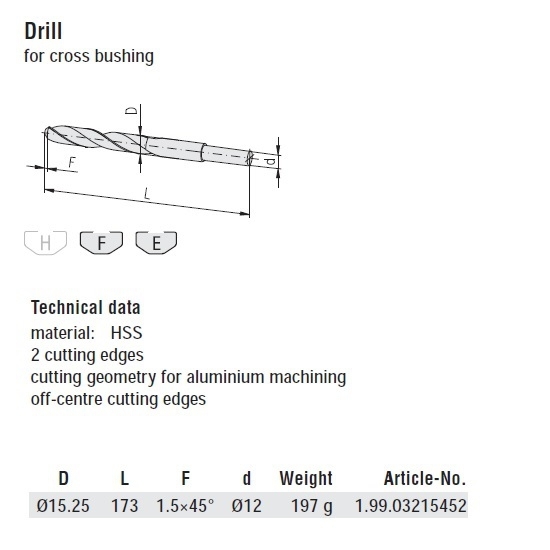 The correct drill for making the cross bushing bore. The drill has a special tip, which has the correct dimension for the cross bush bore.